Download a copy of any one of the Speed Secrets eBooks! I’ve produced a series of eBooks (and will continue to do so) for what I think is a good reason: I can update them any time I want, and you benefit from that. Having written ten hard-copy books, I know the pros and cons of each, and I like that with an eBook it’s not a huge time investment for you to read what I’ve written. So, eBooks are an efficient way for me to share information with you, and I can update them whenever I learn something new. I hope you get as much out of them as I know you can. And if you have suggestions for updates to any one of my eBooks, please let me know. Love the eBooks! Simple, to-the-point, and no fluff – just what I need. The eBook on shocks helped me understand a complicated subject, and the mental imagery guide was what I was lacking (I’m now much better at visualizing since I have a process). And the Performance Driving Illustrated is a perfect reminder of what’s important for me to practice with my driving. While I like your full Speed Secrets book, these eBooks are perfect for me. Thanks! I enjoy your style of writing/teaching. It lines up with my slow, steady nature of taking the information from the text to the actual application of the information to the car. You have taught me a great deal that I am using every time I put a helmet on. Why are shocks such a big thing? Because practically all of the other systems and components of most cars have been optimized to the point where there is very little to be gained through further development, and the shocks are the last area where big improvements in performance can be found. Oh, and because they have knobs on them that can easily be twisted and turned by anyone with an idea or theory! 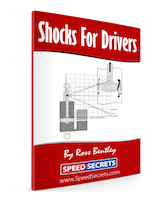 The Shocks for Drivers eBook is the culmination of many years of working with many engineers (and with direct input to the eBook from Jeff Braun), but looking at these all-important tuning devices from the perspective of a performance or race driver. Whether you’re competing in a “low budget” endurance race (LeMons, ChampCar, World Racing League, Lucky Dog, AER, etc.) or at Le Mans, amateur or professional, or anything in between, I’m sure you’ll find the advice and tips in the Endurance Racing Guide eBook invaluable. Based on my 30 years of experience competing and coaching in almost every level of endurance racing, the eBook covers everything from driving style to race strategy, and driver changes to night driving. “Hope is not a strategy.” If you want to make a change or improvement in any aspect of your life, just hoping for it won’t help much. But using mental imagery (often referred to as “visualization”) to change or update your mental programming will have a huge impact. In fact, until you change/update your mental programming, you will never change or improve. 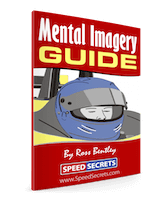 My Mental Imagery Guide for Drivers has been developed over many years, working with performance and race drivers of all levels, and is based on the latest in sport psychology and neuroscience. How to Learn a Track... Fast! The quicker you get up to speed on a track, the more you learn, the sooner you can start making setup changes to your car, the faster you’ll be, and the more fun you’ll have! Not bad. And here’s the thing: learning a track is not something a driver is born with, it’s a skill that can be learned. In the How to Learn a Track… Fast! eBook, I share what I’ve learned from driving hundreds of race tracks, and coaching thousands of drivers while they learn a track that is new to them. 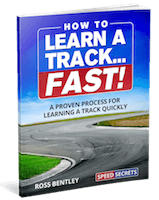 There is a step-by-step process that’ll help you learn track faster than ever before, and that process is outlined in this eBook. 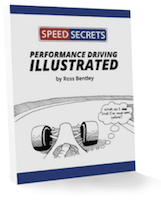 Using 50 illustrations, the Performance Driving Illustrated eBook is the perfect reference guide you can use over and over again. It’s ideal for any performance driver, no matter what your experience level – whether driving on the track or the road. Use it as a foundation for your performance driving development, as an at-track reminder of driving techniques you want to improve, or a discussion-starter with fellow drivers. The combination of sparse text and lots of illustrations makes it ideal if you’re the “let me just go do it” type. The HPDE Instructor Manifesto is filled with over 40 pages of tips, advice and thought-provoking ideas that I’m sure will make you an even better instructor than you are today. And if you’re not an instructor yet, this will prepare you for what is one of the most rewarding and challenging activities ever. I’ve used my 30-plus years of driver coaching, instructing, training other instructors, and observing instructors to write what I believe is something that every HPDE instructor should read – that is, if you really want to help others improve.